Indian Rummy is a popular card game in India enjoyed by Indians at almost all states of the country. Also known as ‘Paplu’ this game of rummy can be seen played at every nook and corner of Indian streets often as a time pass by housewives, retired men and women and of course in groups by full fledged gamblers. Indian Rummy is also available to play at clubs in big cities like Mumbai, Delhi and Kolkatta as well as in Indian casinos. Why most people like this game is because it is played for small stakes and therefore suits every type of budget. Being a mild form of gambling players enjoy this game and do not mind to lose an affordable amount of money. In contrast to a game of luck, Rummy has been declared as a game of skill by the Supreme court of India in August 2015. That has moved the game to being legal because it offers an equal chance of winning using your skills rather than chance. But many a times police is seen raiding such people who play in groups in parks, houses or in streets which is more to be seen at the time of Indian festivals like Deepawali and Holi. Also the states of Assam and Orissa have not provided clear rulings on this matter and are thus ambiguous territories. So what people do is play secretly and use tokens instead of money or write the scores in paper. 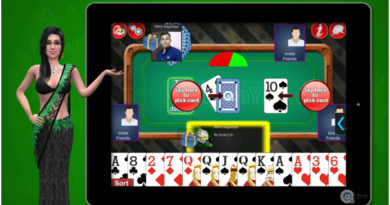 Playing Indian Rummy online at the casinos is absolutely legal, safe and secure. Indian Rummy is played in group of 10 people or less than 10; but not beyond 10 as maybe it is not feasible for players to sit around a table. Up to 6 players use two decks of cards. 3 decks are used for more players. Each deck consists of the standard 52 cards plus one wild card, with “joker” printed on it. Thus there are 53×2=106 cards for 2 to 6 players, and 53×3= 159 cards for 7 or more players. At the start, each player picks a card at random from the shuffled deck. Seating is as per card value: whoever draws the highest card chooses his seat, to his right the next highest and so on. The lowest, thus, sits to the left of the highest. The lowest deals first and shuffles the cards. The player to the left of the dealer draws a card unseen from the shuffled deck and paces it on the table face up, visible to all. This card is known as the ‘joker’: all cards of same rank as this turned up card as well as the printed jokers are used as wild cards, and all these cards are referred to as ‘jokers’. If the card turned up is a printed joker then there is just one wild card available for use: the other printed joker. The player to dealer’s left then cuts the remaining cards and the dealer distributes them anti-clockwise one at a time, the player to dealer’s right getting the first card. 13 cards are dealt to each player. One card is dealt face up to begin the discard pile and the remaining stack is placed face down in the centre crosswise on top of the turned up joker, so that the rank of the joker remains visible. For the next hand the turn to deal passes to the right, and this continues until everyone has dealt once, completing a “round”. After playing one or two rounds, the seating is changed again following the same start procedure. 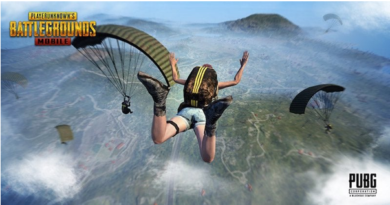 Normally a player should quit the play only at the end of a round. Anyone wanting to join in between the rounds occupies the seat to the left of the player dealing next. In order to declare Rummy and win it is necessary to hold at least two runs, and at least one of these runs must be straight. The remainder of one’s 13 cards must also be formed into combinations, which may be runs or sets, with or without wild cards. The first “straight” run or tanala is sometimes known as the “original life” and the second run as the “second life”. Usually a winning hand consists of four combinations: one of four cards and three of three cards, but it is also possible to win with just three combinations of 5, 4 and 4 or 5, 5 and 3 cards, always provided that they include at least two runs, one of which must be straight. 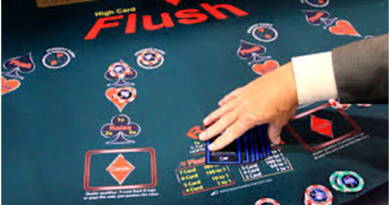 The player to dealer’s right plays first, and play continues counter-clockwise. Each player’s turn consists of picking up either the top card of the face up discard pile or the top card of the face down stack. Having taken this card into hand the player must discard one card from hand face up on top of the discard pile. If the player chooses to take the top card of the discard pile, that card cannot be discarded in the same turn – the player must discard a different card. It sometimes happens that the card turned up by the dealer to start the discard pile is a joker, which can then be picked up by the first player in the normal way. Since this clearly gives the first player an advantage, it may encourage several other players to pack. The play continues until a player, after picking up a card, has 13 cards that form valid combinations (including at least one straight run and at least one other run). 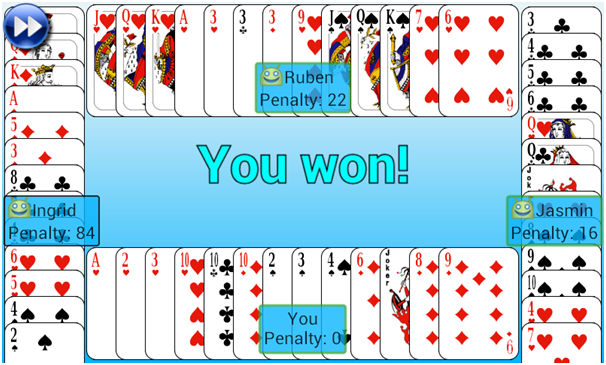 In this case the player discards the 14th card and declares ‘Rummy’, placing the 13 cards face up to show that they form the required runs and sets, and winning the game. It is but to remember that no runs or sets are laid out during the play. In this form of Rummy players keep all their cards concealed from the other players until a player is able to win. If there are no face down cards remaining in the stack and no one has declared Rummy by the end of the turn in which the last stock card was taken, the game is void and no one wins. A player whose hand is unpromising may prefer to withdraw from the game to limit the amount lost. This is called packing or dropping. It can only be done at the start of a player’s turn, instead of picking up a card. A player who packs at the start of his first turn, before drawing any card from the stack or discard pile, pays 10 points to the eventual winner. The player’s 13 cards are shuffled and placed at the bottom of the face down stack, so that they are eventually available for drawing by the other players if the game continues that long. The remaining players continue to play. A player who packs at a later turn must pay 40 points to the eventual winner, if any. This player’s cards are not added to the stack – they are set aside face down out of the game. If all players except one have packed, the last remaining player automatically wins, and immediately collects the appropriate amounts from the players who packed. If the game is void because the stack is used up and no one is able to declare Rummy, the packed players do not pay. If a hand contains a straight run (original life), the cards of this run are not counted. 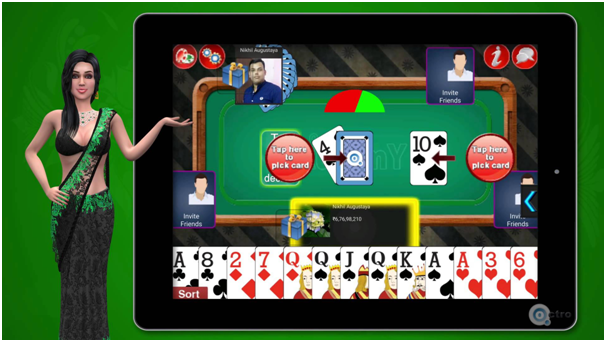 If the hand contains a second run (second life) as well as a straight run, cards in these runs and any additional runs and trails (sets) are not counted. The values of all remaining cards are totalled and the points are paid to the winner. Packed players pay the winner either 10 or 40 points, depending on when they packed. If a player declares Rummy after picking a card for his first turn, any other players who have not yet had an opportunity to pack or pick a card pay for their unmatched cards at half rate – that is the total value of their cards that are not in valid combinations is divided by two. 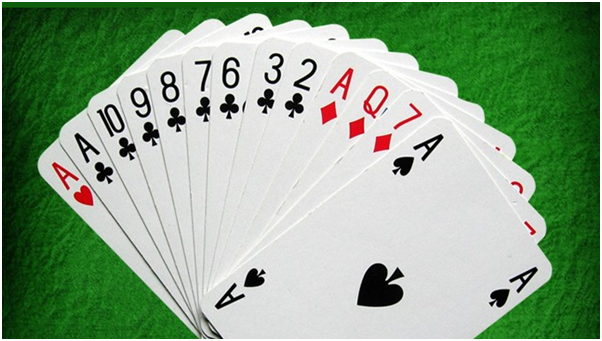 In the rare event that a player is dealt a hand of 13 cards that are all connected in compliance with the rules, the player can declare ‘Hand-Rummy’. Hand-Rummy is declared at the player’s first turn, instead of picking a card. Any players who have already taken their turns and have chosen to play must pay twice the total value of their unmatched cards. Those who have already packed pay 10 points as usual, and any players who have not yet had a turn pay for their unmatched cards at the normal (single) rate. Sequence: A sequence is a group of three or more cards arranged consecutively in the same suit. Jokers: Jokers play an important role in Indian Rummy games. They can be used to replace any other cards to form sequences and sets. Pure Sequence: A sequence which is formed without the help of Jokers is called as pure sequence. 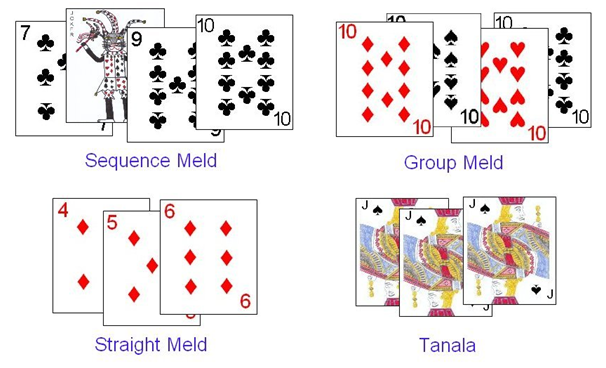 Impure Sequence: A sequence which is formed with the help of Jokers is called as impure sequence. 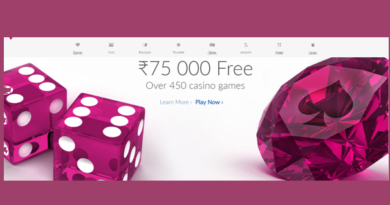 ace2three.com; RummyCircle; Junglee Rummy; KhelplayRummy.com; Classic Rummy; Deccan Rummy; Indigo Rummy and other Indian casinos. All these casinos offer generous bonus offers to the players and that makes playing Indian Rummy more enjoyable. 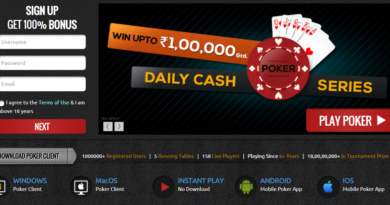 You can also play Indian Rummy with your mobile smartphones and tablets. There are Rummy variants offered by Special K Software where you can play against computer opponents. Also if you have your Android mobile you can download Indian Rummy apps like Khelplay Rummy. This app can be used even by iOS device users too.